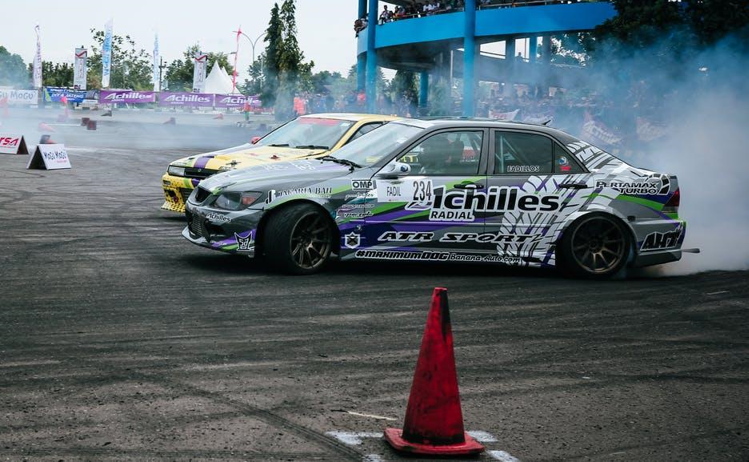 Drifting has become a major part of pop culture over the past decade, appearing in blockbusting Hollywood movies and big selling video games alike. And there’s something undeniably awesome about sliding around corners sideways rather than holding the racing line and keeping the car straight. If you’d rather get your thrills from car driving games that let you drift without putting your life and liberty on the line, here are a few of the top titles to track down and play. While the track-focused arm of the Forza franchise is more grounded in reality, in the Horizon games players get to let their hair down and hit the streets in style. As you would expect, drifting is a big part of Forza Horizon 3. And there are lots of different locations where you can flick the back end out on a sporty vehicle, including sprawling urban streets, dusty desert tracks and picturesque mountain passes. Drifting solo is fun, but thanks to the excellent online play that is offered in this game, you can get together with friends and strangers from around the world and put your skills to the test. Also with a lot of focus on customisation, you are encouraged to adjust cars and tune them to deliver optimal performance. So if drifting is your thing, you have more control over how each vehicle handles, which is a nice touch. Forza Horizon 4 is expected to land at some point in 2018, but for now the third instalment is still an excellent investment for drift fanatics. If you prefer your racing game to come with a bit of a plot, then the latest entry in the long running Need For Speed dynasty will fit the bill. It is bigger, bolder and more engaging than the 2015 reboot, as well as featuring plenty of sweeping corners and rain-soaked tarmac turns to help you get your drift on whenever you feel the need. Another reason to give Payback a go is the police pursuit system, which lets you outrun the cops in classic NFS style and definitely encourages some creative driving. The physics are more similar to arcade racing titles than to true simulators, which means it is easy to pick up and play even if you don’t have a lot of experience with this type of game. And while simulator fans might crave a bit more depth, it definitely has the all-important enjoyment factor locked down. If the wild and whacky gameplay of the first two racers isn’t to your taste, the realism of Assetto Corsa should satisfy your appetite for a really convincing drifting title. This is a full on racing sim, with a good basic framework that has been expanded by community-generated mods on PC to make it even more compelling. 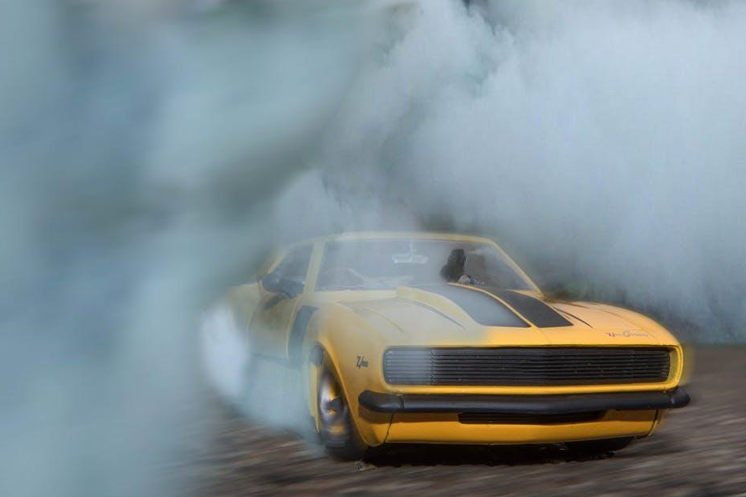 It is with these mods that drift-focused cars have been added, as well as famous circuits that have helped to push the competitive side of this driving style in the real world. The physics engine is the star of the show and will really require finesse to master. So don’t expect to pick this game up and start drifting like a pro immediately. If you stick with it and dedicate yourself to learning its quirks, Assetto Corsa can be incredibly rewarding. Think of it like Dark Souls, but with Ferraris instead of fire-breathing dragons. Console owners have a lot of exclusive games to boast about, but the jewel in the crown of the PlayStation 4 is arguably Gran Turismo Sport. And with new cars added regularly, it gets deeper by the month. This is another racing sim rather than an arcade-style driving game, but that doesn’t mean that drifting is out of the question; quite the opposite. New players might find that they have a tough time keeping the faster cars in a straight line when they approach the corners, proving that it can be truly challenging to compete with the pros. To actually get good at drifting and use it competitively in online play or during single player races, you will need a lot of practice. But for the dedicated few, it will be an achievement worth attempting. The best driving games feature drifting along with many other aspects of motorsport, so experiment with these titles to see which one matches your requirements for enjoyment. It’s easy to find lots of driving games for free online.